Happy Monday! I hope you've all had a wonderful Thanksgiving. We stayed home and enjoyed a quiet Thanksgiving with our children. 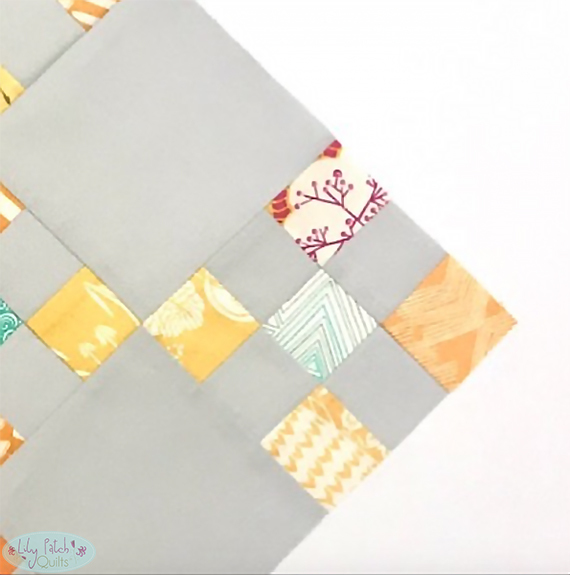 In the meantime, if you've been following me on Instagram (@lilypatchquilts) you have seen peeks of my projects. I have two that I am working on. One is this double nine patch quilt. It is a fairly easy quilt. I was working on it and thought I had more than enough of the solid grey left on the bolt, yes, I buy them by the bolt when I have a coupon to use at Beverly's. Unfortunately I am a bit short. I have one more place to go to before I really have to decide what to do for the rest because I don't have enough time to order online. The other project I am working on is this adorable kitty caddy clutch that I mentioned in my previous post of the fabric selections. I put DD to work to embroider the face for me after all the clutch is for her ;-D I love seeing my girls sew/stitch. 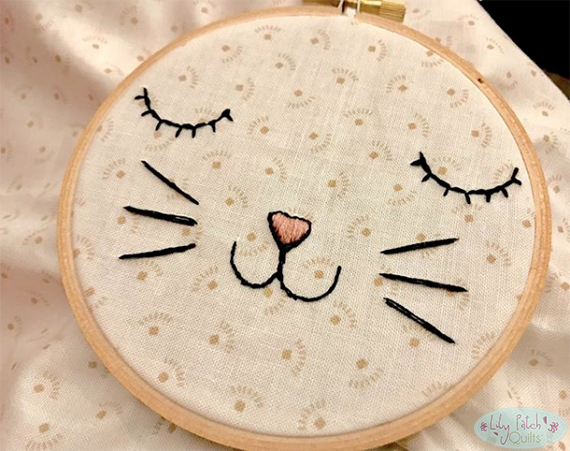 It gives me hope that one day they will love sewing as much as I do. This week I will be sharing the full view of one of the projects. I'll leave you with a couple photos of what I made for Thanksgiving. This year I brined the turkey and slow-cooked it in the oven. We bought a thirteen pound turkey. The turkey came out so moist and full of flavor. It took me three hours so not bad at all. 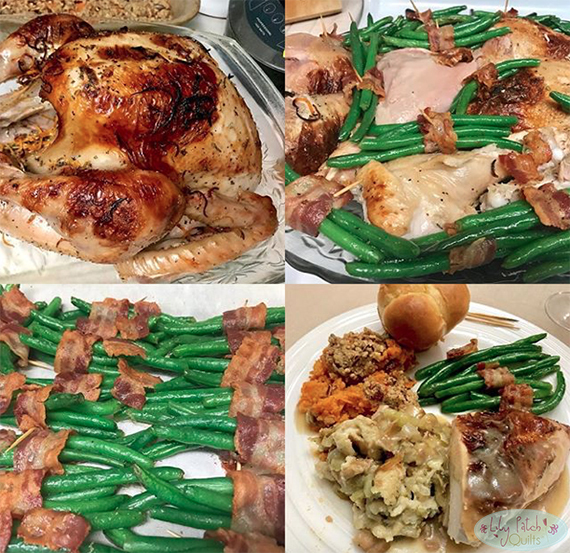 I've always had bacon with green beans but this year I came across a Pinterest post where they wrapped the bacon. I thought it was a great idea to wrap the green beans so that's what I did. 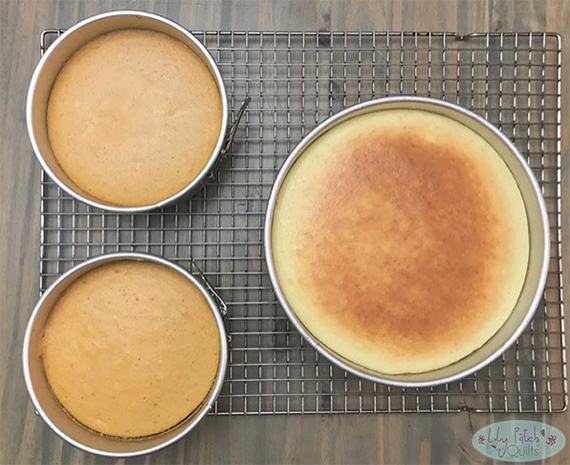 I also made pumpkin cheesecakes and a plain one. Hubby made his pecan pies and we were so stuffed the desserts were hardly touched. We had so much dessert leftover. I think we will have to freeze them for another day.